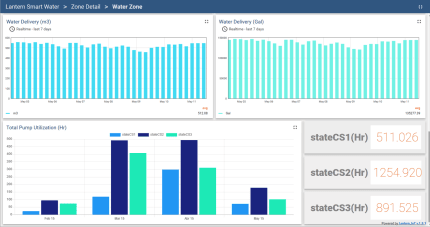 An escalable IoT solution for your Water Facilities and Distribution Centers. 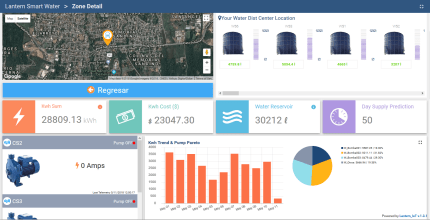 Smart Water is a web-based state-of-the-art Internet of Things solution that allows Water Distribution Center personnel to monitor the entire facilities in a single interface. Energy & Water Quality Indicators. 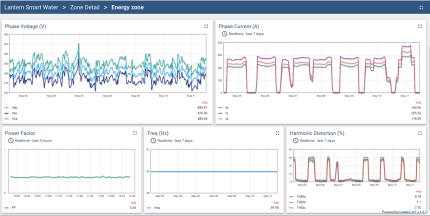 Facilities Engineers can also adjust Events/Alarms for each variable and create Preventive Maintenance Programs based on Pumps Utilization (Actual Work Hours). The platform also offers real-time bi-directional communication, so you can ON/OFF devices remotely. This snap package contents the Gateway firmware only. The Smart Water Platform n is a SAAS and is cloud-based. The Gateway will be located at your premises and will send your data through IoT technologies to the Web Application in a secure manner.